MS-DOS files in a	 elf-extracting archive: read90k.com, 1541bloc.gif, 1541-clk.gif. For those who have no access to LHA or MS-DOS, the same files (pictures converted to a more modern format) are available individually from this directory. An improved, faster version of 1541-reads-dos. 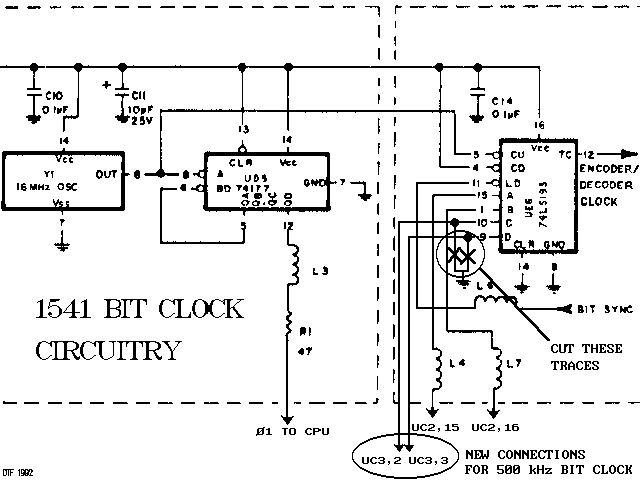 Block diagram of the 1541 data flow when reading from the disk. MS-DOS utility for reading the special 90-kilobyte format. The Commodore bra	 name and the chickenhead logo are property of Commodore International Corp.